Self named All-Region Offensive Player of the Year. Self named NTL Player of the Year. Lady Hornets upset by Bloomsburg in Class AAA quarterfinal game. Lady Wildcats top Wellsboro in NTL Showdown final. Lady Hornets run past NEB in NTL Showdown semis. Lady Hornets finish perfect NTL season. Lady Hornets fall to Danville. Lady Hornets roll past Williamson to NTL Large School championship. Lady Hornets inch closer to NTL Large School title. Lady Hornets roll to Senior Night victory. Lady Hornets sink Montoursville, 56-37. Self, Poirier lead Lady Hornets in lopsided victory over Wyalusing. Lady Hornets coast to win over Troy. Lady Hornets suffer first loss of year to Jersey Shore. Lady Hornets cruise past Liberty, 61-21. Lady Hornets roll to 12th straight win, top Canton 58-32. Lady Hornets run away from Athens. Lady Hornets cruise past Towanda. Lady Hornets run past Troy for 8th straight win. Self's 26 lead Lady Hornets past Wyalusing. Lady Hornets knock off undefeated Cowanesque Valley. Big first quarter powers Wellsboro past Sayre. Lady Hornets run past Northeast Bradford. Lady Hornets roll to third straight win. Poirier buzzer-beater lifts Lady Hornets over Northwest Area. Lady Hornets top Muncy at Rotary Tip-Off Tournament. 4 Lady Hornets named to NTL All-Star team. Lady Hornets' season comes to an end. Lady Hornets fall to Hughesville in District semis. Lady Hornets overcome slow start to top Williamson in first round of District IV playoffs. Lady Hornets upset Sayre in NTL Showdown semis. Lady Hornets hold on to top Troy. Lady Hornets knock off Athens in overtime. Lady Hornets roll to big win over North Penn-Mansfield on Senior Night. Lady Hornets drop heartbreaker to Danville. Lady Hornets best Towanda, 48-38. Lady Hornets fall to Sayre. Lady Hornets top North Penn-Liberty, 60-23. Lady Hornets struggle in loss to Montoursville. Lady Hornets sting Troy, 59-44. Athens snaps Lady Hornets' five game win streak. Lady Hornets top North Penn-Mansfield, 54-29. Lady Hornets cruise past Towanda, 50-26. Lady Hornets top Canton, 48-20. Lady Hornets top Wyalusing, win second straight. Lady Hornets top NEB, 48-27. Lady Hornets fall to Jersey Shore in final seconds. Lady Hornets roll past Williamson, 49-28. Coudersport comes from behind to down Wellsboro. Lady Hornets finish 3rd at Muncy Rotary Tournament. Lady Hornets struggle against Hughesville in Muncy Rotary Tournament. Ingerick, Poirier named to All-Region basketball team. Poirier grabs Breakthrough Underclassman of the Year honors. Lady Hornets fall to Minersville in states. Lady Hornets fall to Mount Carmel in District title game. Poirier's career night leads Lady Hornets past Southern. Hillson's three sinks Lady Hornets. Lady Hornets top Towanda on Senior Night, 36-10. Lady Hornets survive scare from Rams, Ingerick tops 1,000 career points. Lady Hornets fend off Sayre. Lady Hornets fall to Danville, 34-22. Big fourth quarter pushes Lady Hornets past Liberty. Lady Hornets win 10th game of season. Lady Hornets hold on to beat Jersey Shore. North Penn-Mansfield powers way past Wellsboro. Lady Hornets top Towanda, 48-23. Lady Hornets fall to Coudersport. Lady Hornets cruise past Troy, 70-22. Lady Hornets blow out Canton, 65-18. Lady Hornets cruise past CV. Lady Horents top Northwest in Muncy Tournament consolation. Lady Hornets drop season opener to Hughesville. Lady Hornets fall to Mansfield, 57-47. Lady Hornets top Towanda, 47-28. Lady Hornets drop nail biter to Sayre. Lady Hornets fall to Wyalusing, 53-46. Lady Hornets down Troy, 46-35. Lady Hornets fall to Mifflinburg, 63-36. Lady Hornets fall to Athens. Ingerick's 28 lead Lady Hornets past Liberty. Lady Hornets fall to Wyalusing, 73-38. Lady Hornets fall to NEB. Lady Hornets top struggling Towanda, 53-27. Lady Hornets top Troy, 49-27. Lady Hornets fall to Bryn Mawr, 52-32. Lady Hornets fall to Athens in OT. Lady Hornets cruise to victory over Canton. Lady Hornets beat Cowanesque, 68-21. Lady Hornets fall to Hughesville. Kramer nets 30 as Sullivan tops Bucktail. Sayre, Wellsboro clinch NTL titles. Sayre girls rally past NEB. McNamee joins dad at 1,000 points. Hornets keep rolling, top Towanda. Green Hornets down Redskins, 63-42. Wellsboro boys make final of Loyalsock Tourney. 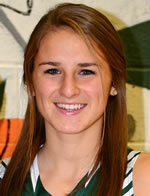 Troy's Gentile POY for All-Region girls' basketball. Lady Hornets shoot well but fall to Loyalsock. Wellsboro tops Williamson to advance. Athens wins NTL division I title. Sullivan County downs Sayre in OT. Towanda upsets Troy; Athens suffers their first loss. NEB girls edge Towanda in 2OT. Wellsboro uses strong first half to down Troy. Athens tops Wellsboro to stay unbeaten. Sayre claims third straight Towanda Tip-off title. NP-Mansfield's Hillson is The Daily Review's Player of the Year. Minersville runs away from Wellsboro 59-30. Poirier's career high leads Wellsboro past So. Columbia. Lady Hornets win, first time in semis since 2004. North Penn-Mansfield tops Wellsboro for NTL title. Wellsboro pulls out win over Mifflinburg. Ingerick scores 1,000th in Wellsboro win over Wyalusing. Williamson tops CV in NTL action. NPM tops Wellsboro as NTL division play starts back up. Wellsboro pulls away from Towanda. Wampole helps lead Sayre past NEB. McLinko leads Knights past Trojans. Athens pulls away from Towanda. Foster's bucket leads Notre Dame past Waverly. NPM, CV win Jack Bush tourney titles. NPM rolls past Wyalusing, to meet NoPo in final. Sayre holds off upset bid by North Penn-Liberty. Sayre girls capture NTL small-school crown. Troy rallies past Jersey Shore. Wyalusing stays perfect in NTL; Athens tops Mansfield. Athens turns up defense to beat Warrior Run. Wyalusing girls rally past NEB. Wyalusing girls top Athens; Sayre downs NEB. Wyalusing edges North Penn-Mansfield in OT. NEB takes second at MU tournament. Schulze gets 100th coaching win as Wyalusing tops Sayre. Mansfield girls win at Sayre.